With about two minutes remaining in the first quarter, Colin Kaepernick hit Anquan Boldin for a nine-yard gain. On the next play Frank Gore scored from one yard out, giving the 49ers a commanding 14-0 lead en route to their 34-3 dismantling of the Houston Texans. That completion to Boldin was Kaepernick’s fourth of the opening drive. He would not have another until the first play of the fourth quarter. For the night, Kaepernick completed six of 15 pass attempts (40 percent) for 113 yards and a 64 yard touchdown pass to Vernon Davis. Without that score to Davis late in the game, Kaepernick’s line would have almost looked comical. It’s the third time in the last four games that Kaepernick has completed less than 50 percent of this throws. In those four games, he is 47 of 93 (50.5 percent) with 557 yards passing. He is averaging just under 12 completions and 139 yards a game in the span. The struggles in the passing game are also directly attributed to the team’s issues on third down. The 49ers were 4-of-11 on third down plays in Week 5 but three of those conversions took place on the opening touchdown drive. They were 1-of-8 the rest of the way and have now only converted 25 of 68 third down attempts in 2013. It’s obvious that other than Boldin and Davis, Kaepernick does not trust his receiving options and is reluctant to even attempt passes their way. Fullback Bruce Miller has as many catches (9) as the 49ers second leading wide receiver, Kyle Williams. Their other three wide receivers have combined for 4 catches for 25 yards. Even with Mario Manningham eligible to come off of the PUP list after Week 6, it’s unknown if or when he’ll be ready to be a consistent threat again. The team may want to start looking at getting their running backs more involved and designing some packages for someone like LaMichael James. 49er running backs only have seven receptions this season. If things stay status quo, the 49ers will have a decision to make on Kaepernick. The general thought was that the two sides would be ready to agree to a monster extension as soon as the quarterback and team were able to do so after this season. Now, that talk all looks to be premature. San Francisco has dominated their last two games with defense and the running game. Kaepernick has been nothing more than a caretaker of the offense. Can the 49ers continue to win games with such little production from the passing game? With the remaining schedule getting easier and all other facets of the team clicking, they absolutely can. But the real goal for this team is to get back to the Super Bowl. Until the can start moving the ball through the air, the will struggle to keep pace with some of higher octane offenses like those found in New Orleans and Denver. 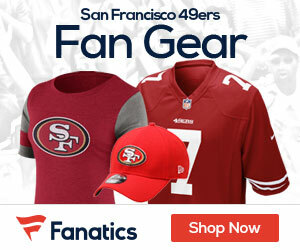 Be the first to comment on "Despite 49ers recent success, the passing game still looks lost"